Getting an international student car loan in Canada should be the least of your worries. Your focus should be on doing well in school, finding new friends, and familiarizing yourself with life in a new country. You shouldn’t have to deal with unhelpful dealerships and banks while catching busses in the cold and trying to get to class on time. As an international student in Canada, getting a car loan can be easier than you think. 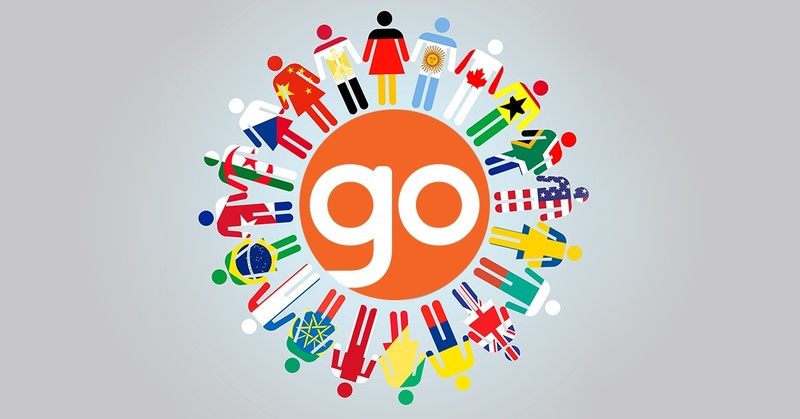 At Go Auto, we’re able to finance select international students who meet certain conditions. You could be driving a new car to school before you know it. Do you qualify? Keep reading and you’ll find out. If you don’t already have one, the first thing you’re going to need to do is get a Social Insurance Number (SIN). This number is what allows you to get paid in Canada. However, it doesn’t allow you to work all on its own – you’ll need to get a work permit in order to actually get a job. But before you get a permit, you’ll need a SIN. In order to apply for a SIN, you’ll need to provide proof that you’re going to school in Canada. As a temporary worker or an international student in Canada, you’ll receive a social insurance number that starts with a 9 (anyone who isn’t a permanent resident of Canada gets a temporary SIN that starts with a 9). Luckily, Service Canada makes it pretty easy to get a SIN. All you have to do is gather the documents you’ll need and take them to the nearest Service Canada location. If everything checks out, you’ll get your SIN before you leave the building. Pretty easy, right? Once you have your SIN, you’re well on your way to getting a car loan in Canada. But it’s here that you’ll hit a speed bump: as a new resident in Canada you don’t have credit history. This is why banks (and most car dealerships) find it difficult to provide you with financing for a new car. Without credit history, they don’t know if they can depend on you to pay back your loan on time. But don’t worry, this is where Go Auto can help you. Luckily, we have ways to get around each of these issues. Your Work Permit Expiry Date: When it comes to your work/student permit, we need to establish that the term of your financing doesn’t exceed your student permit expiry date. That’s basically a fancy way of saying that if you’re going to be a student in Canada for four years, the loan we give you for a new car must be paid off in full within four years; or, before you leave. This is an easy one to deal with. You Lack of Provable Income: Enrollment in medical or Ph. D programs goes a long way towards overcoming a lack of previous income,. Financing a vehicle as an international student in Canada is much easier as a medical or Ph. D student. This is because your future income stream is more predictable and foreign governments often pay for it. If you’re this type of student, then great! That’s a big plus for you. If you’re not, don’t worry … you can still get financing with Go Auto! Your Lack of Credit History: The biggest thing you can do to secure auto financing as an international student is pay a large down payment when you get your loan. With students, we guarantee car loans if that student has a 60% down payment. So if you want a $10,000 vehicle, you would have to pay $6,000 of it up front when you sign the contract. With a $20,000 vehicle, that’s $12,000 up front. The bottom line is if you’re able to pay off your loan before you leave school and if you’re able to put a 60% down payment on your new car, Go Auto can finance you for a vehicle right now. International student car loans are possible, so get excited! To get started, click this link and fill out a credit application today. There is no structured program for international student car loans in Canada. We review each situation on a case-by-case basis. But we finance more international students than any other car network in Western Canada, and a large part of our success as a company has come by providing car loans to people with bad credit or no credit at all. We have helped people in your exact situation before. Remember that. If you plan to stay in Canada for a few years while you study, getting a car loan is a terrific way to establish credit history in this country. This will be extremely valuable later on if you plan to stay here and buy a house. Avoid the hassle of scheduling long, inconvenient trips to school. Talk to Go Auto and apply for a car loan! It only takes a few minutes. We have over 10,000 vehicles to choose from on GoAuto.ca. We work with 21 different brands, including Honda, Nissan, Kia, Mazda, Volkswagen, Land Rover, Infiniti, Toyota, Hyundai, and many more. No matter what you’re looking for, we can find it. At a great price, too. Get approved for a car loan as an international student in Canada, today. We’re always happy to help.